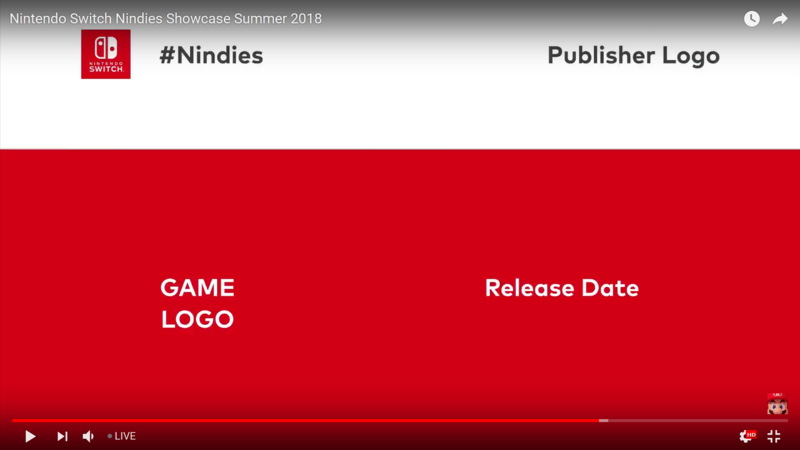 During this morning’s Nindies Showcase Summer 2018, observant viewers noticed Nintendo had left an unused game announcement template inside the livestream by accident. The template shows how Nintendo places the game logo, game’s release date, and publisher logo. It’s nothing much, but still interesting to see.